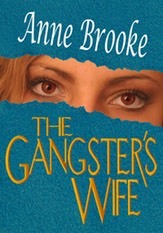 The Gangster's Wife, a quirky crime comedy, is published by Anne Brooke Books. When 53-year-old Elise Walker returns home after a day at the office to find her husband Gerald dead of a heart attack, she doesn't expect a visit from the police with revelations about Gerald's secret life. 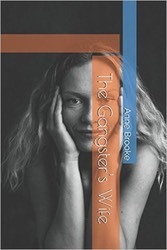 Soon, however, her own life takes a distinctive turn for the surreal, with missing loot, online crime and curious neighbours the least of her problems. Not to mention trying to deal with never-ending funeral arrangements and stay on top of her job. Thank goodness then for the support of her ever-reliable boss, Hugh. But will even he turn against her when she decides to contact Gerald's former gang members to find out more? And what is the real significance of the note Gerald left her? Most important of all, if Elise ever finds the money, will she be able to keep it? Buy the Kindle at Amazon in your country! Buy the paperback at Amazon!